Mixed Media on Paper 19 x 25"
This new piece represents life / energy / creativity. The sun wheel is an ancient symbol with Indo-European roots, and represents the sun. 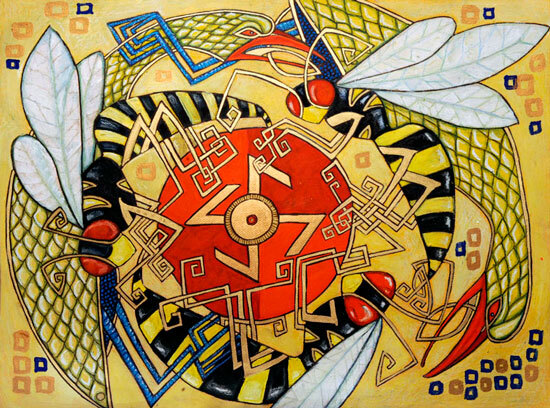 The sun represents life to many cultures and with the birds and the wasps both flying/solar animals (as well as representing the euphemism "the birds and the bees" for procreation), this artwork represents creation and life energy.